Incredibly honored to be in the special all women’s edition of Indiana Voice Journal, featuring all female authors and artists. They have included three poems of mine, “What I Mean When I Say Run”, “Girl in Flight”, and “Love Letter No. 3: To My Mending Self”, each of which displays a strong female voice. 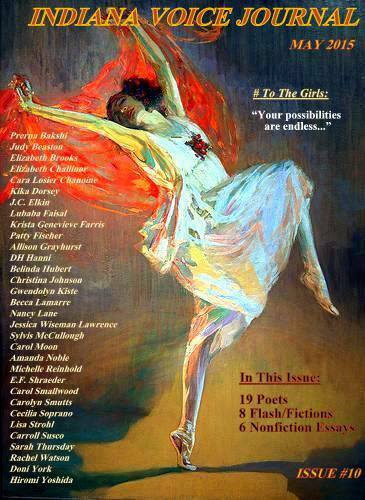 Please take a few moments and view the poems at IndianaVoiceJournal.com, as well as the many other women featured this month.